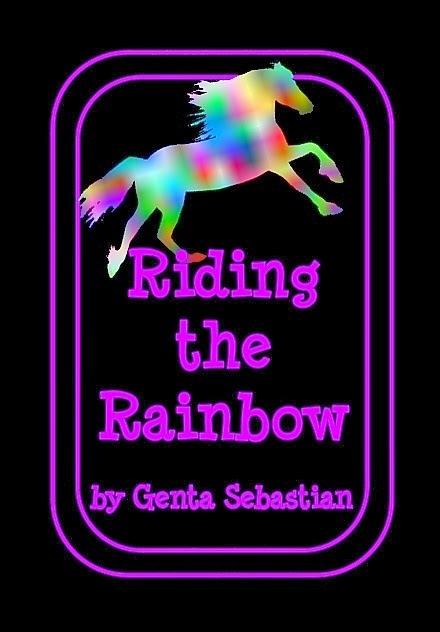 Announcing the quickly approaching publication date for Riding The Rainbow, my LGBT novel for young readers (ages 7-14). Chubby, awkward Lily has two out-loud-and-proud Moms, and is teased and bullied at school. Clara, the new girl in the fifth grade, has two in-the-closet Dads and keeps their secret by staying quiet, trying to become invisible. As the two girls get to know each other, they question the way the other’s family lives. The world is looking much brighter for the two friends, when sudden disaster strikes. Clara is seized in broad daylight, and the kidnapper demands that Lily, and only Lily, deliver the ransom. Police and parents object, but Clara is her best, and first, friend. Lily knows she must follow exactly the instructions that will return Clara, unharmed. But at the drop-off things move fast, and Lily must move faster. It’s a race to save her best friend’s life, but can chubby, awkward Lily find within herself what it takes to run fast enough? Riding The Rainbow answers some of the questions growing children of LGBT parents have, as well as the risks when families try to stay in the closet. It’s meant to be read by both children and their parents to spark conversations about what it means to live in a rainbow family. I’m actively recruiting reviews for the novel, so if you have a book blog, or know of one where this story would fit, I’d be deeply grateful if you’d pass that info along.